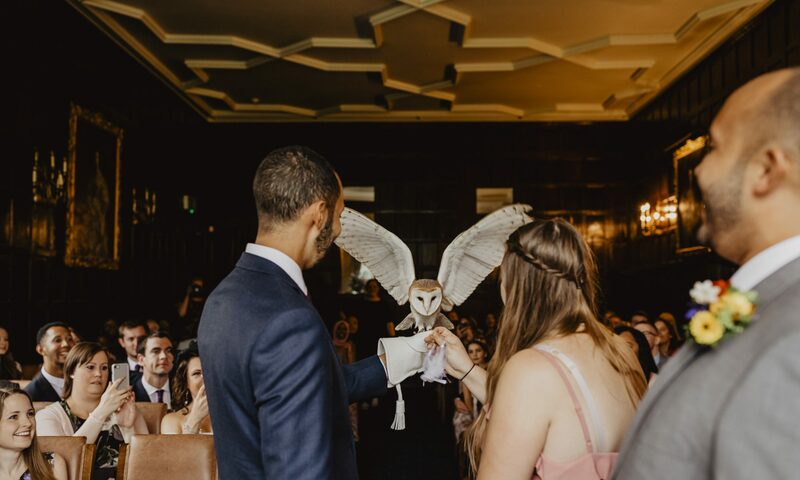 Whether your wedding is at a church, registry office, hotel or another venue, imagine how romantic it would be to have your wedding rings delivered by an owl or hawk ring bearer. We also offer the chance to have a static display for you and your guests. It’s a great way to keep guests occupied whilst you are whisked away for photos!